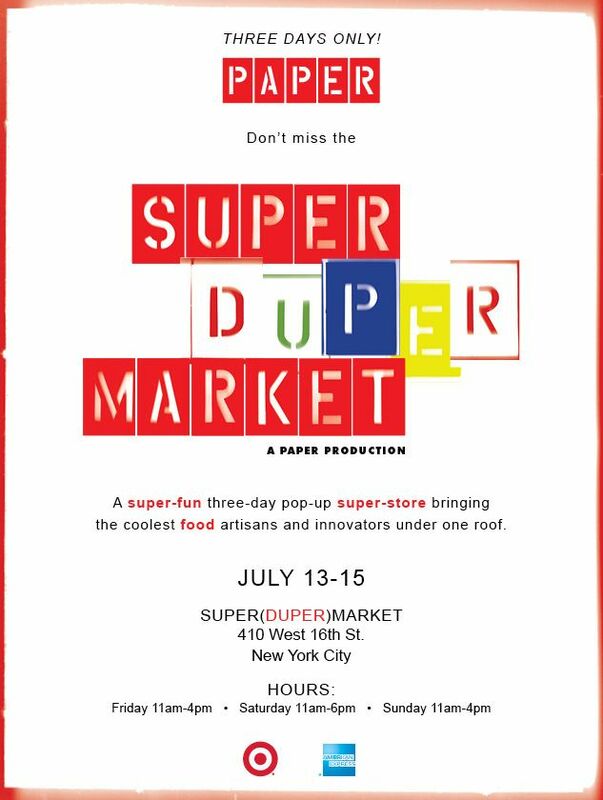 Stop By Our Super(Duper)Market July 13-15th! What are you doing next weekend? You're coming to our Super(Duper)Market, that's what! The three-day pop-up super-store will feature our favorite vendors, retailers and food fanatics from East Coast to West Coast selling their goods under one roof. It's located at 410 W. 16th St. and will be open Friday, July 13th, 11 a.m.-4 p.m., Saturday, July 14th, 11 p.m. to 6 p.m. and Sunday, July 15th, 11 p.m. to 4 p.m. Cash and credit cards are accepted.